Part of a series of tasting notes from our private whisky club in Mumbai, India. This session was a special pairing of food and whisky. For the last tasting of 2013, we celebrated with a special whisky-food pairing. Tasting notes were provided to the chef in advance and he was given full license to indulge his creative culinary talents to craft morsels to be complimented by the selected whiskies. 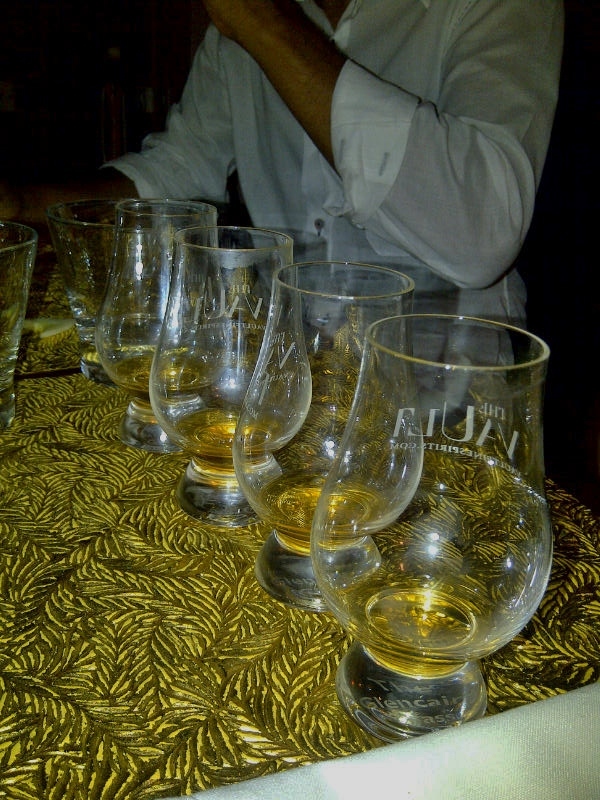 Our approach was to first sniff, swill and sample the whisky then to sip further with food. The idea was to savour both together and distil the flavours. Only after we ate and drank our fill of each course was the whisky revealed. 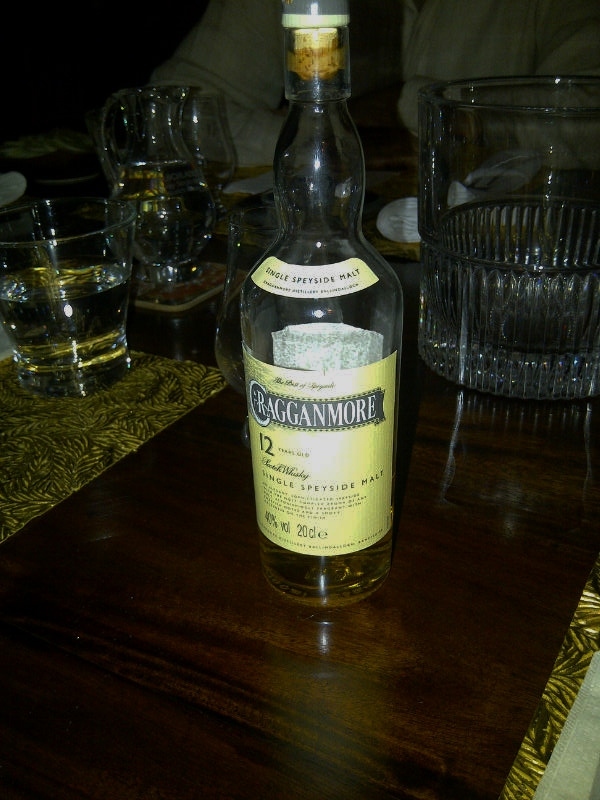 The key was – could the whisky both stand ‘on its own’ and did it enhance the flavours of the food? 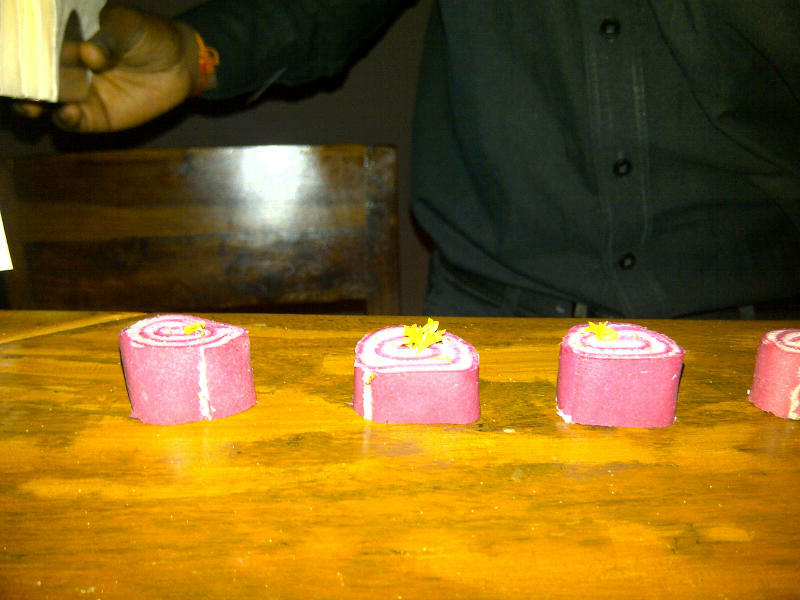 Paired with a beetroot crêpe roll filed with two cheeses, a peppery surprise and sprig of parsley. Pairing pronouncement? Complimented fabulously! The chef shared that the tasting notes he received made the whisky sound rather insipid. So he opted for softer flavours with just a bit of pepper kick. Pairing pronouncement? Not so much complimenting as finishing. We admitted to the chef, this was not an entirely successful pairing. Some preferred chicken, some preferred veg. Whisky verdict? Huskier, gruff guy… a bit rough around the edges but not a bad sort. 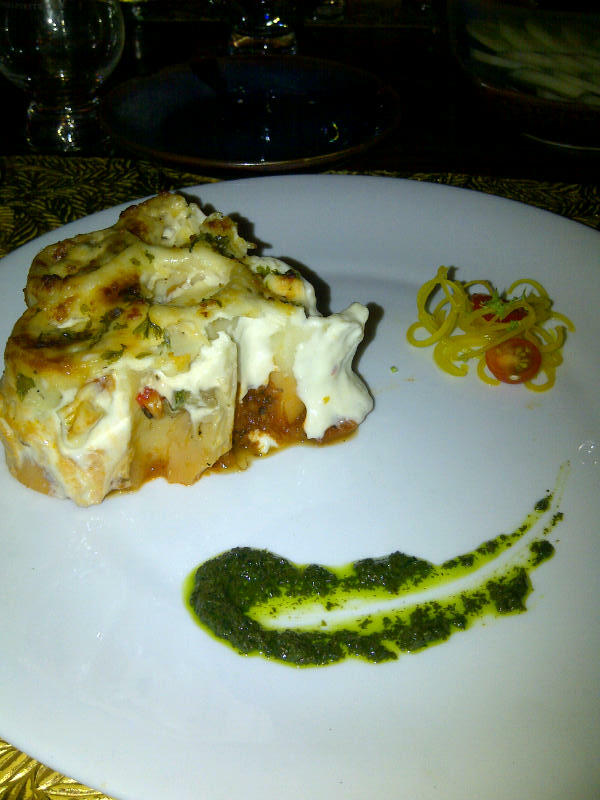 Paired with a deconstructed vegetarian lasagne with pasta rounds made fresh that day and filled with a mix of vegetables, cheese added on top. Mix in the pesto – perfection!! We also declared that complimenting with pepper was very much a “now we are talking” kind of combination with whisky. Pairing pronouncement? Yum! Cheesy, peppery, add the pesto and voilà! A perfect match with the smoky whisky. Whisky verdict? Universal surprise. 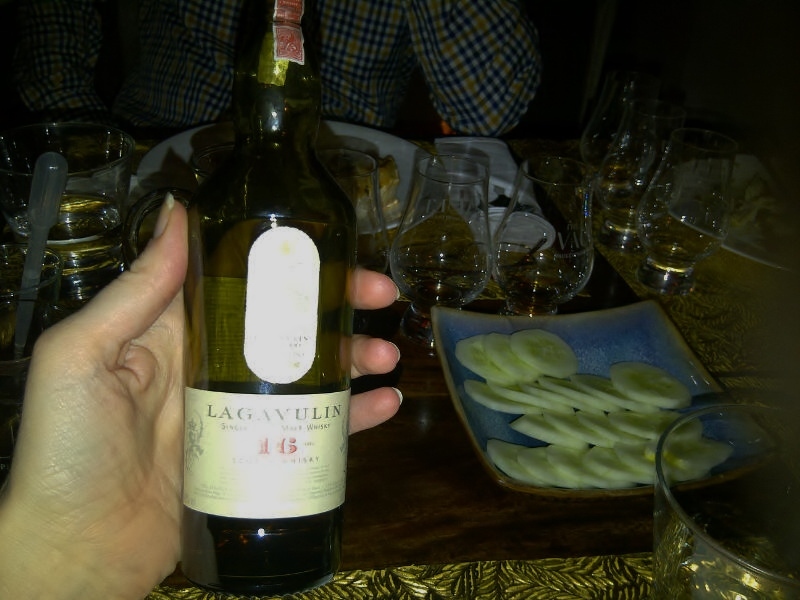 Lagavulin’s 16 year is a familiar favourite however we found the character quite different when paired with food. 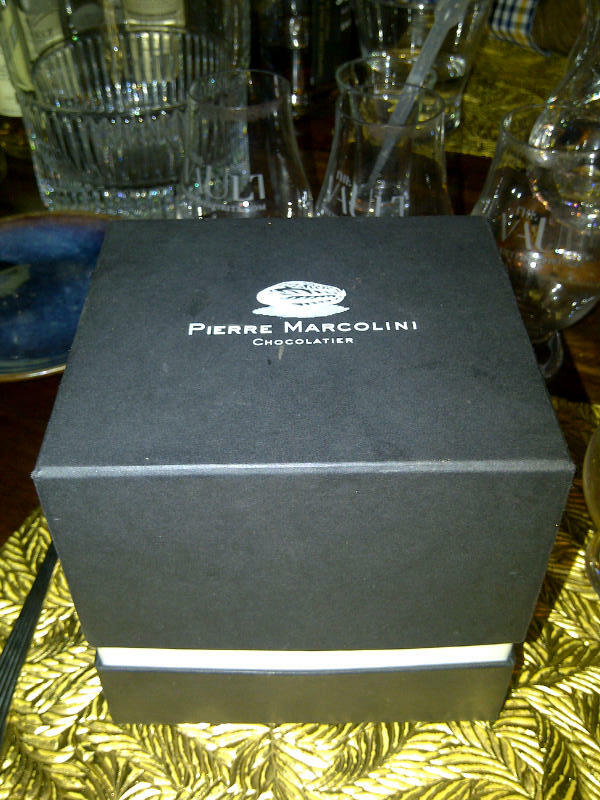 Paired with chocolate orange mud cake followed by a sampling of Pierre Marcolini’s chocolates with the ‘saveurs du monde’ collection. Pairing pronouncement? 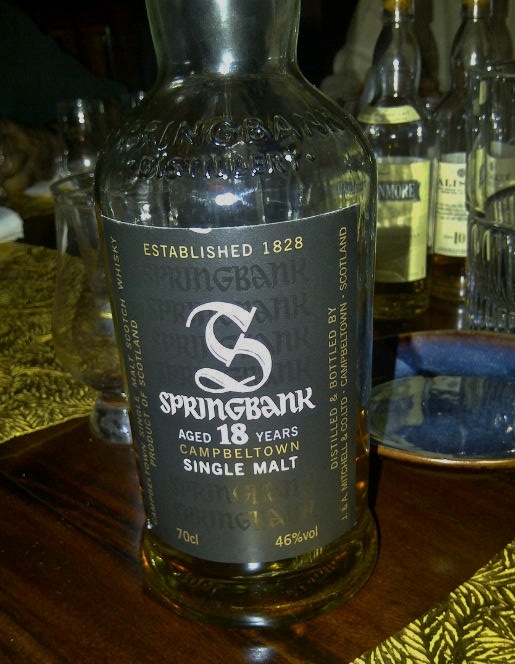 Brilliant – the orange burst from both the Springbank and cake – delightful! And the chocolates? An utterly sinful and blissful combination! Whisky verdict? A bit of a loner, has seen life, strong character and opinionated. One member joked it is a bit like the distillery which is staunchly independent, take weeks to reply to communications, slightly cantankerous but worth persisting to check out! Just because you’ve had the whisky before, doesn’t mean the next time you’ll have the same experience – our tasting with food brought a fresh new set of insights. We were reminded that cheese and chocolate are known to combine well with most whiskies. Our discovery was that cracked black pepper does too – at least with the whiskies we sampled. Our next challenge is to try a pairing with flavours that have no cheese or chocolate – perhaps a four course Indian meal? Have you ever paired whisky with food? What is your favourite combination? PS – Apologies for the poor photo quality – camera settings went wonky and replacement phone’s camera isn’t ideal with the flash going on over-drive in the otherwise perfect mood and lighting of our evening. Clearly I’m NOT a photographer! By Carissa Hickling in Whiskey, Whisky Reviews on December 27, 2013 . Ahh… figured food would be more your style 😉 Especially the cake!! I really enjoy reading your tasting notes Carissa ! If you want to see what we’ve been up to, the club is on facebook…Loch La Pluie Scotch Club. At Christmastime especially I enjoy a piece of good quality shortbread with a dram of just about anything :o) Will definitely try something with the cracked pepper…sounds great. PS Received a special gift from Scotland under the tree- Octomore-5th edition PPM169 !! 59.5%ABV Outstanding !!! I just checked out the Loch La Pluie Scotch Club on FB – would love to try some of the ones you have sampled! Santa clearly knows you VERY well to have sourced and gifted the Octmore – lucky you! We did a whisky pairing recently when Richard Paterson of The Dalmore came down to Dubai. The format was quite similar to yours – the chef was given tasting notes and he created a menu based on that. 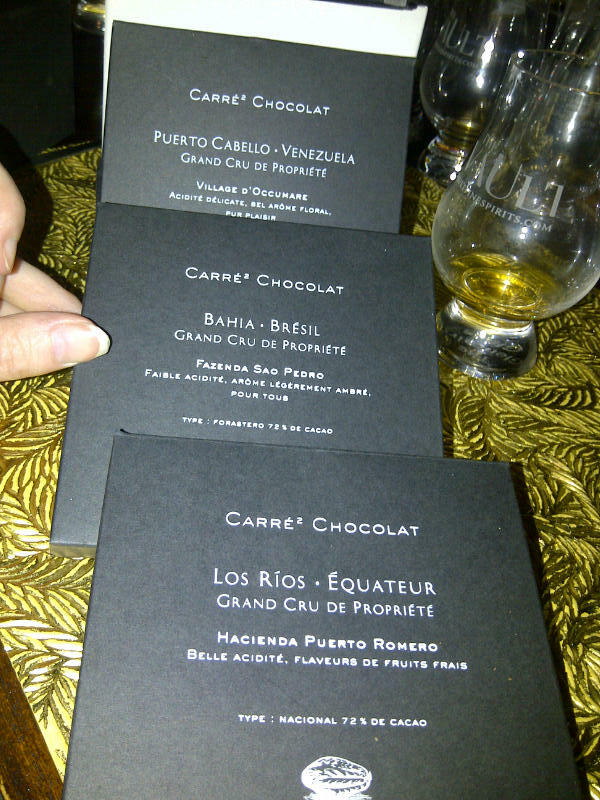 As a whisky purist I fundamentally don’t encourage food pairing but some combinations were quite nice. I wish I had taken notes and pictures for my blog. Maybe next time. Your dinner sounds like it was quite a success. Nice to see the folks in Mumbai showing their appreciation for single malts. Now that certainly sounds like an interesting evening! Would love to know more – so next time – pics & notes pretty please!! 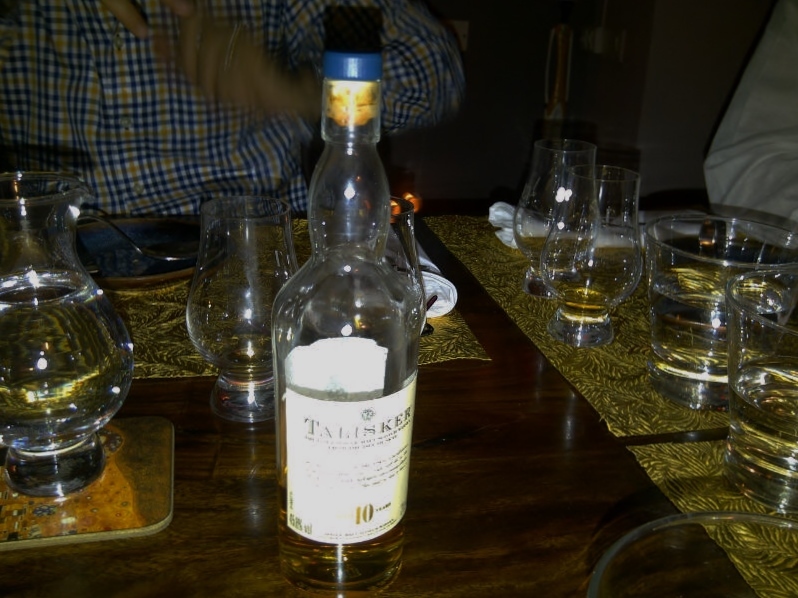 And yes – our whisky-food pairing was a definite success and a nice finish to the year.